A disparate group of Irish men and women assembles every Tuesday and Thursday in Dublin for an introductory Italian class, but for the evening class and their teacher, a dream of Italy guides them to new friendships, understanding of themselves, and a once-in-a-lifetime trip to Italy. Reissue. "Good storytelling . . . Binchy deftly focuses on each character in turn, probing the hidden dramas of their lives." 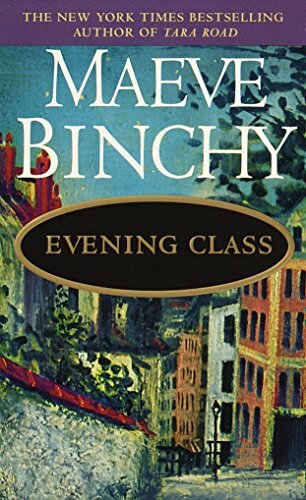 "Reading one of Maeve Binchy's novels is like coming home." Maeve Binchy is the bestselling author of This Year It Will Be Different, The Glass Lake, The Copper Beech, The Lilac Bus, Circle of Friends, Silver Wedding, Firefly Summer, Echoes, Light a Penny Candle, and London Transports. She has written two plays and a teleplay that won three awards at the Prague Film Festival. A writer for The Irish Times since 1969, she lives with her husband, writer and broadcaster Gordon Snell, in London and Dublin.